Israeli Prime Minister Benjamin Netanyahu was remorseful about his apology to Turkey over the Mavi Marmara raid in which Israeli commanders killed nine Turkish citizens in May 2010, a new book by former Israeli Ambassador to Washington Michael Oren revealed. Oren, whose book is called "Ally," has already sparked extraordinary media coverage over his blunt criticism against the Obama administration's handling of Israeli relations, depicts the focal points of the Mavi Marmara crisis and the backdrop of Netanyahu's apology. The book says President Barack Obama had always opposed the Gaza blockade, which led the flotilla to the Mediterranean in the first place, and used his leverage against Netanyahu to convince him to give what the then-Prime Minister Erdoğan wanted to normalize the bilateral ties. "In a poignant conversation with the prime minister, Secretary of State Clinton stressed that maintaining Erdoğan's goodwill represented a strategic U.S. interest. Turkey's cooperation was vital for America's deployments in Iraq and Afghanistan as well as for the efforts to curb Iranian nuclearization and achieve Israeli-Palestinian peace. The apology, Hillary made clear, was also a matter of personal importance to Obama." Oren writes. Following two years of American persuasion, Israel decided to work on the apology "to give Obama a victory and the U.S.-Israel alliance a much-needed boost," during Obama's visit to Tel Aviv in March 2013. The ambassador details his phone diplomacy with his American colleague, Dan Shapiro and White House Turkey expert Phil Gordon in a prefab trailer that was set up next to Air Force One waiting for the arrival of President Obama's motorcade to leave for Washington on the last day of the visit. Just before the departure time, which could kill the chance to give Obama his diplomatic achievement, Dan Shapiro gets the deal. "They sat across from each other with a small table and a telephone between them. Obama spoke extemporaneously through a translator and greeted Erdoğan as "my friend, Recep." 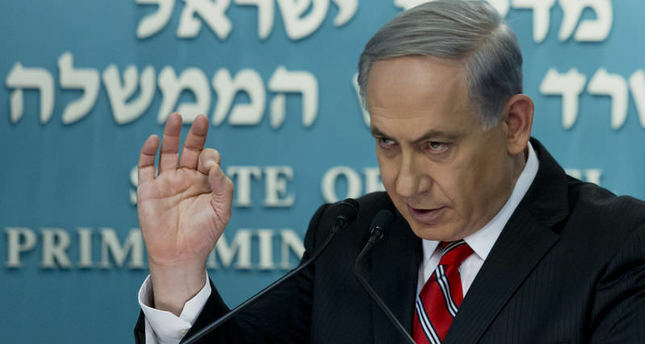 Netanyahu, by contrast, read from a script of which we all had copies and followed closely. The necessary ingredients were all there — the apology for tactical mistakes perhaps made by the IDF, the compensation offer, the restoration of full diplomatic ties, and the removal of all war crimes charges. Netanyahu spoke slowly, purposefully, and, I felt, sincerely. The interpreter conveyed Erdoğan's words: his comments on Zionism were taken out of context and he bore no animosity toward Israel. The apology was accepted. 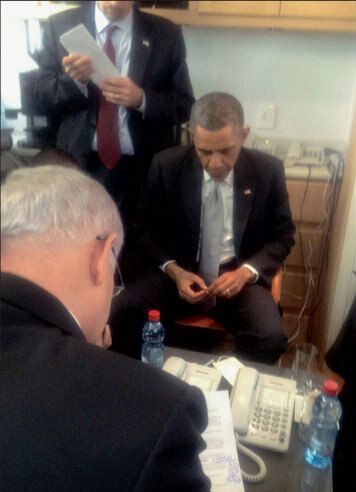 Obama and Netanyahu hung up the phone and everyone present sprang to their feet and started cheering. There were high-fives and even hugs." The book says. Oren later that evening witnesses Netanyahu's admission, saying "we may have made a mistake." Netanyahu finally repeats, "I think we made a mistake", after watching Erdoğan on TV degrading Israel, declaring he would force Israel to lift the Gaza blockade. The book released in the midst of the latest reports saying top Turkish and Israeli diplomats secretly met in Rome to talk about a reconciliation agreement between the two nations after over a year of deep freeze. Daily Sabah's sister newspaper Sabah reported on Wednesday that the request for the meeting came from the Israeli side following the parliamentary elections, in which the ruling AK Party lost its majority in the national assembly. An Israeli official told Reuters on condition of anonymity that there was a sense that the situation in Turkey had shifted after the election. Israel agreed to increase reparations for the victims to $20 million and a draft of an agreement between the two states was written in February 2014. The countries also agreed that the Turkish Parliament would drop the lawsuits against Israeli soldiers that participated in the raid with a new law, Israeli newspaper Haaretz reported. However, Israeli leader Netanyahu delayed approving the agreement a couple of times, then left it in the freezer before the national elections in Israel last year. Foreign Minister Mevlüt Çavuşoğlu said yesterday that the ball was still in Israel's court. "We are waiting for the Israelis' answer." He said.